Child's Final Grades can be viewed from Grades >> Final Grades. 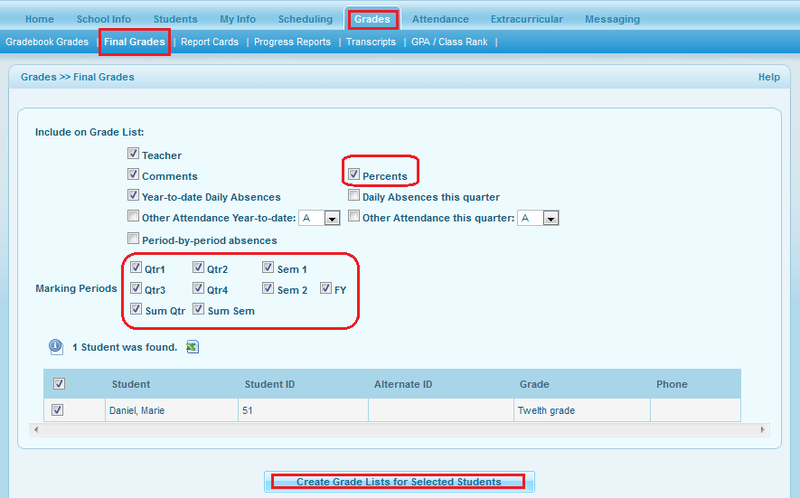 Here the Percents box has to be checked to fetch the scores and final grades would show up as per marking period selection. Final Grades will appear in a tabular format and can be downloaded in excel.